The days of unhappy parents are over. 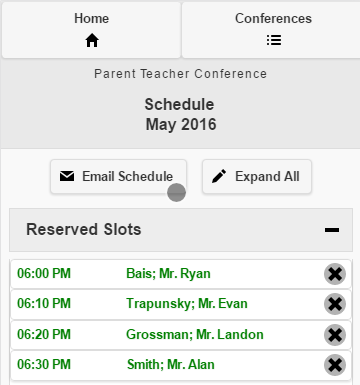 InfoGrasp’s Parent-Teacher Conference (PTC) Scheduling is as simple as it gets. 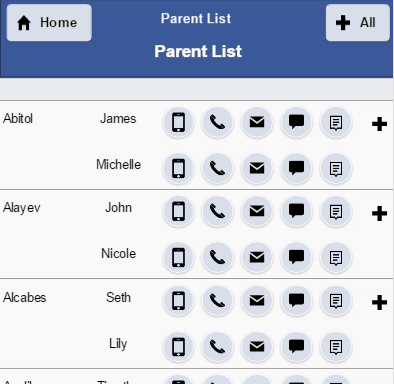 Using a phone, tablet or laptop, parents can tap or click their way to your children’s teachers in the shortest time possible. 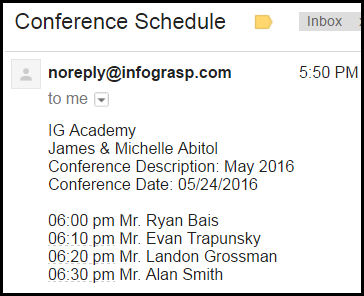 InfoGrasp PTC Scheduling was simple to use and eliminated unnecessary waiting, allowing us to focus on face time with our children’s teachers. 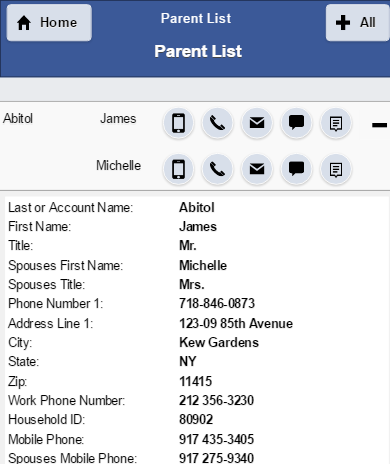 The Parent List for the mobile generation – dial, email or text at the touch of a button. 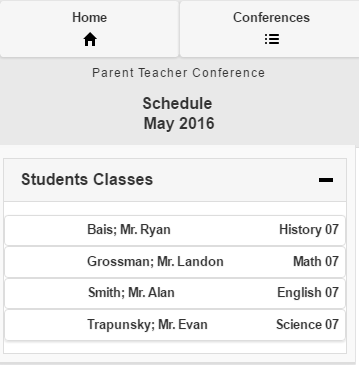 Get the info you need with just a tap.